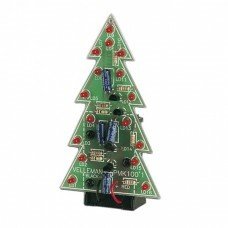 The Classic Blinking LED Christmas Tree Kit is an electronic soldering kit that features several blinking LED lights. 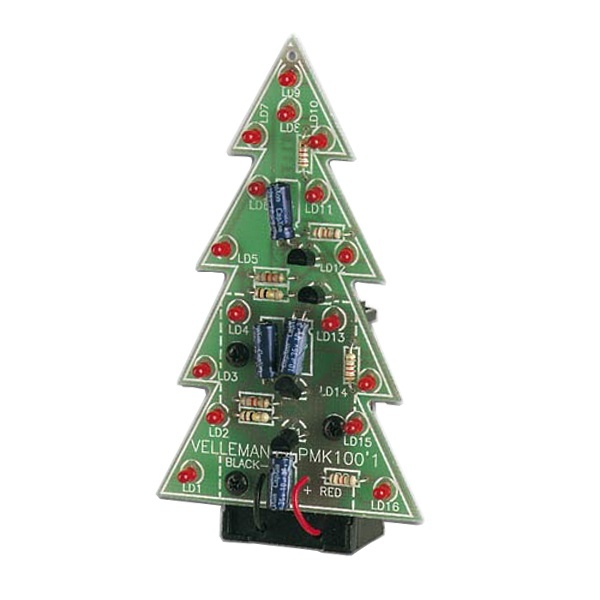 This electronic kit is easy enough for beginners to assemble and proudly display each Holiday season. It has 16 LEDs that blink in two alternating patterns. It operates from a single 9V battery and consumes only about 4mA of power.